Alison Shaffer: Do you need a night out? 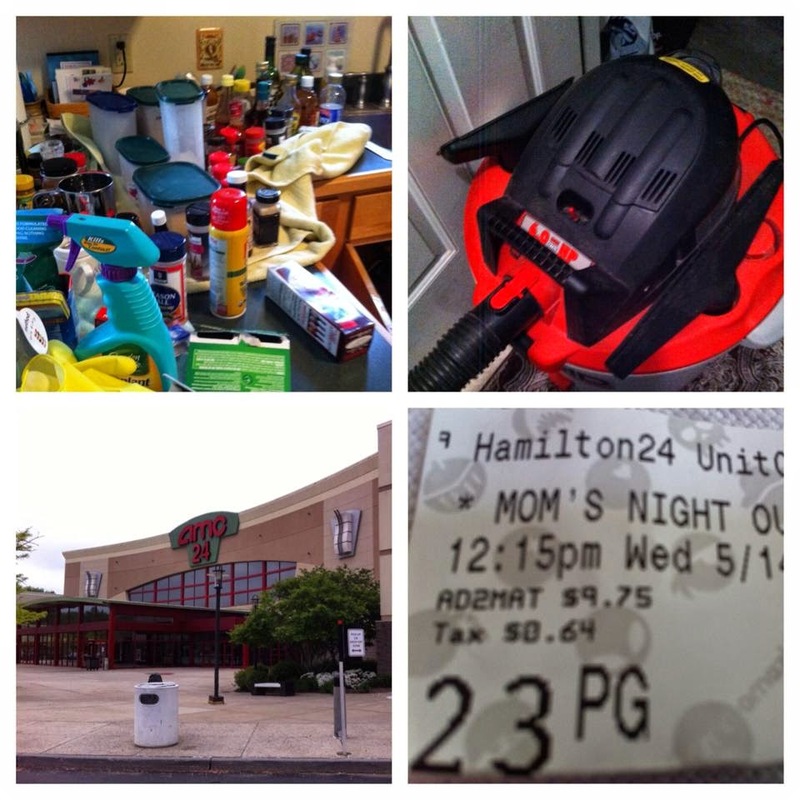 Go see MOMS' NIGHT OUT MOVIE in theaters now, you'll laugh, cry, and laugh some more! Do you need a night out? Go see MOMS' NIGHT OUT MOVIE in theaters now, you'll laugh, cry, and laugh some more! Disclosure: I received handouts, a movie gift card, and a restaurant gift card for this post. The comments and views are my own. Before I went to the movie, I flooded the kitchen. No kidding. Today was the day I had planned to go out to lunch and see this movie with a few of my girlfriends. About a half hour before I was to leave and pick them up, I thought I'd wash the dishes, unload and load the dishwasher so when I came home from the movie the kitchen would be somewhat clean. I turned on the water, put the stopper in, and went outside. Why I did not turn off the water I don't know!!! I remember thinking I need to turn the water off, and I thought I did, but obviously I didn't. I was outside taking my good ole time watering the plants! When I came back inside and saw the water spilling out of the sink, over the counter top I yelled for my husband to help me, (glad he was home working), after the clean up, the shop vac, and the fan to dry out the wood floor, I looked at him and said I have to leave now-well that was a blank look from him..., but I think he understood. We made it to lunch, the movie, and back home. The movie was really great. It was funny, realistic, and heartwarming. I'd watch it over and over again any day. Moms' Night Out is in theaters now! The film is a family comedy about four moms scheduling a night out. What could go wrong? Everything! The film features star names of Sarah Drew (Grey's Anatomy), Sean Astin (The Lord of The Rings), and Patricia Heaton (Everybody Loves Raymond, The Middle), and Trace Adkins. Plan a Moms' Night Out with your girlfriends with movie fun starting with dinner, games, and fun at your house. Invite guest to come over for party time with food before you all head to the theater Or, go to a nice restaurant all together before the show and eat your own dinner! No sharing or cutting up food!!! No trips to the bathroom ten times! We planned a day time trip to see the film since night times were busy with sports and the kids coming home from school. Our first stop was a local dinner, but it's more like a big restaurant, after that we headed to the theater in the next town. Here's a look at the mess I left in the kitchen and finally had put back into the cupboard that night after the flood. I had to throw away a bunch of baking supplies that got wet. Wraps, dips, and veggie trays are easy to prepare or pickup at your local grocery store. "I need a Moms' Night Out________________,"
ha ha, I needed a day out after the flood of the morning!